It's all about everyday computing on-the-go. ASUS VivoBook E402 offers you larger storage space, with up to a combination of a 1TB HDD and 64GB eMMC storage, so you can bring your files with you, anywhere you go. To keep heating issues at bay, ASUS IceCool Technology gives ASUS VivoBook E402 a unique internal layout that keeps palm rest surface temperatures between 28ﾟC and 35ﾟC. This is significantly lower than body temperature so you stay comfortable for hours on end. 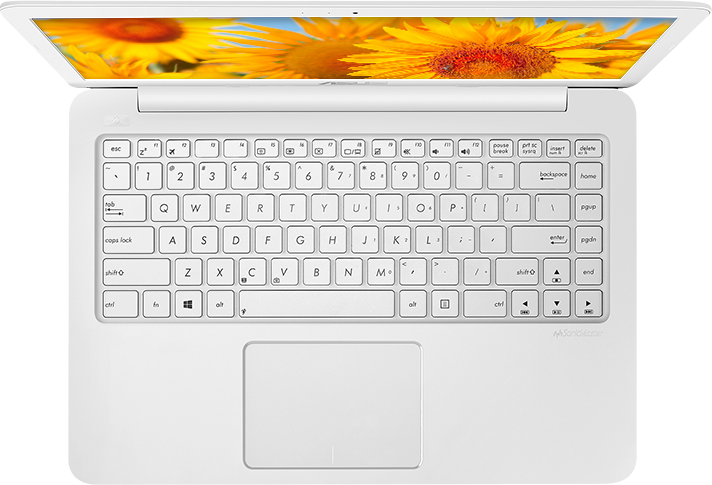 The full size chiclet keyboard features an improved design that allows for more accurate typing. It has 1.6mm of key travel with little key float for a solid feel and more comfortable typing experience. It's considerably durable too, with a 10-million keystroke lifespan. 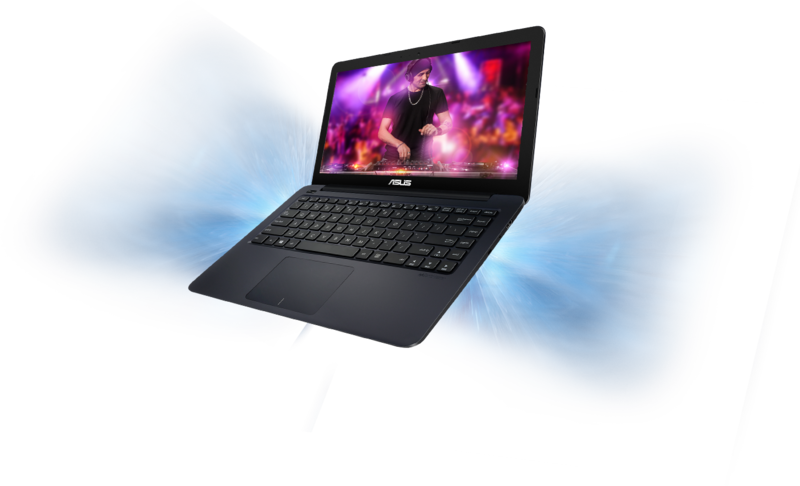 ASUS VivoBook E402 features high quality dual speakers with larger 9cc speaker chambers situated under the palm rest. These direct sound towards you for a truly immersive experience as your favorite movies and music come to life. 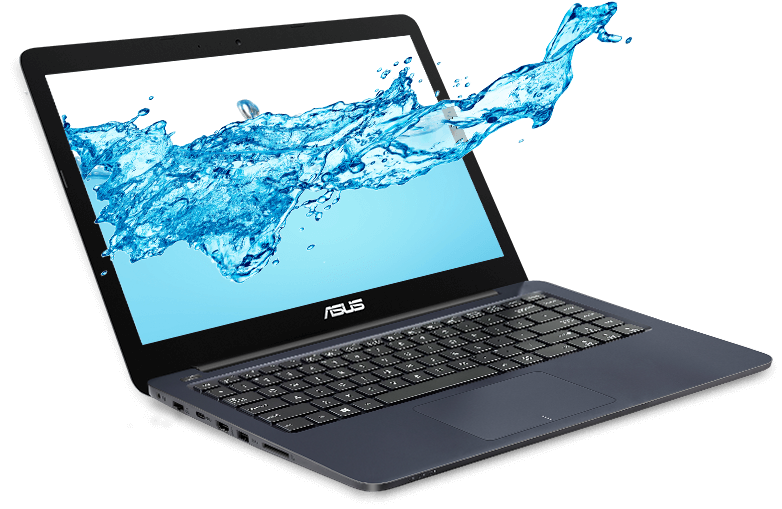 SonicMaster has been tuned by the ASUS Golden Ear team with the goal of providing you with the best PC notebook audio. 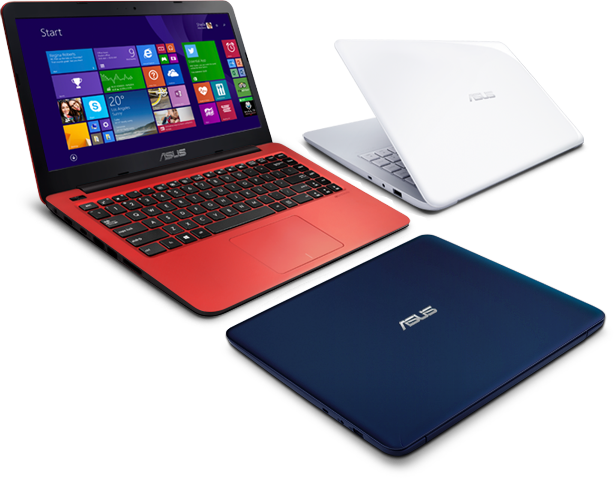 ASUS VivoBook E402 has SonicMaster-enhanced audio to give you crystal-clear sound delivery. Whether you're on headphones or speakers, you'll experience richer, more detailed audio. 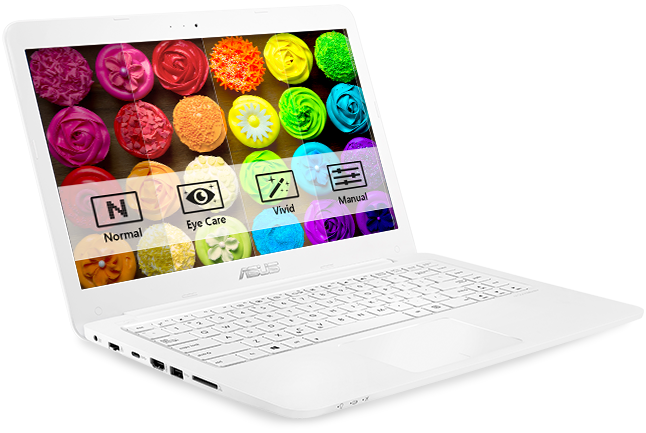 ASUS VivoBook E402 delivers vibrant visuals and brilliant colors thanks to ASUS Splendid technology. It fine-tunes various display settings and parameters, ensuring you get only the very best visuals. Whether you're watching movies or viewing photos, everything seems more real and life-like.